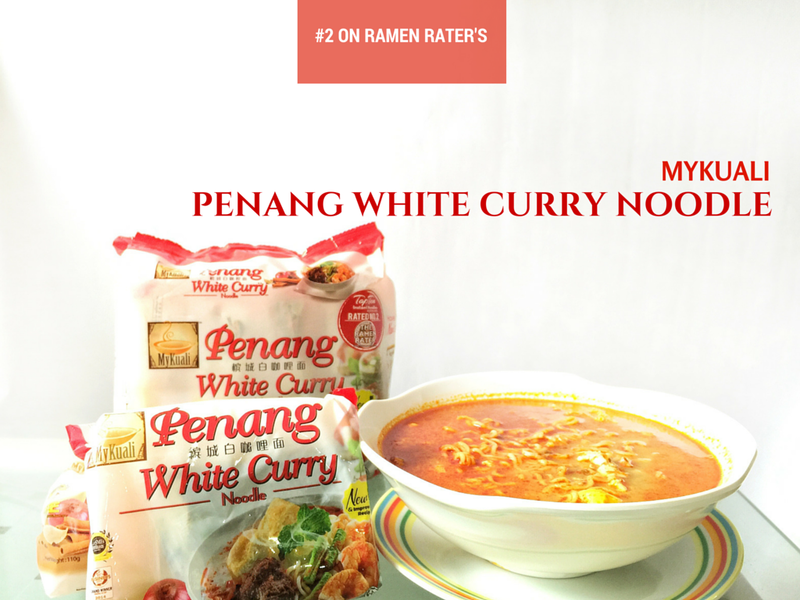 MyKuali Penang White Curry Noodle - #2 on Ramen Rater! 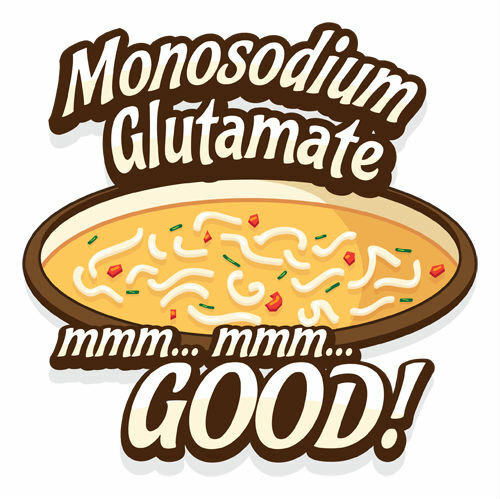 I have probably ate more instant noodles than rice in my life so far, which kinda makes me sort of a ramen expert. I have tried almost all of the instant noodles in our local supermarket, and I am always on the lookout for interesting ramen flavours whenever I go grocery shopping overseas. Therefore, you can imagine how excited I was to try this Penang White Curry Noodle from MyKuali. Rated number 2 on the Ramen Rater’s Top Ten Instant Noodle of All Time 2015 Edition, I was eager to find out the taste of the white curry. I tried my best to style this bowl of noodles like those on TV commercials and magazines, so still okay la, looks quite nice right? I was definitely impressed with the amount of ingredients that goes into just this bowl of Penang White Curry noodles. They have the soup base, a non-dairy creamer, and a chilli paste that is made up of ingredients like shrimp paste (belacan) and fish seasoning powder. A flavourful bowl of white curry that is not as one-dimensional as other curry noodles in the market. The noodle is also very "Q" (springy) and full, absorbing the flavours of the white curry broth. I believe the taste would be even better if you add in a few pieces of shrimp and 'taupok' into your bowl of white curry. The Penang White Curry Noodle (4 in a pack) goes at S$4.50 and is available in Cold Storage, Giant Hyper & Supermarket and Sheng Siong stores. 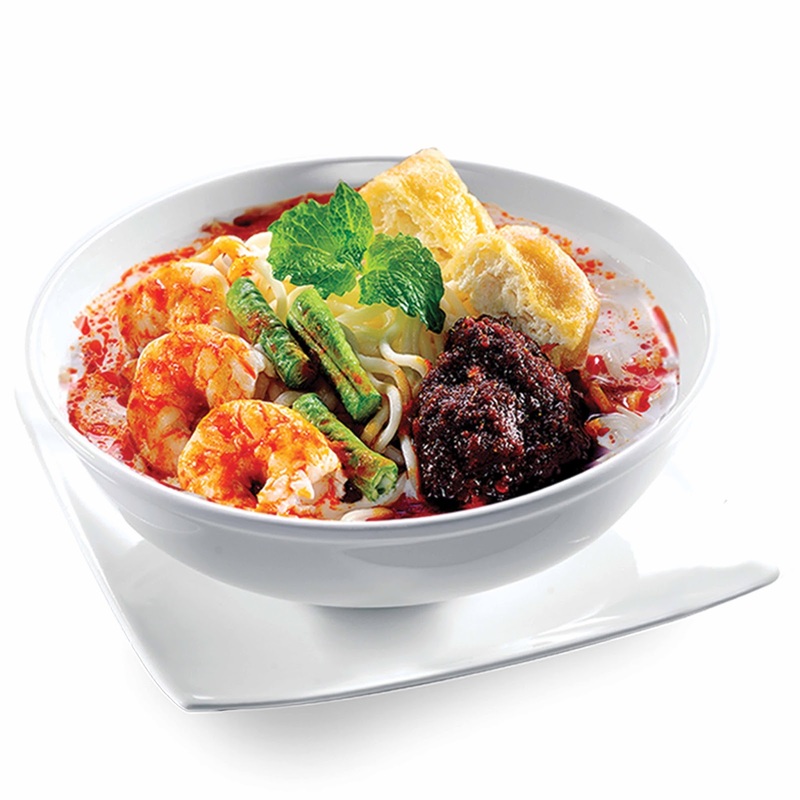 For Tom Yum lovers, look out for their Penang Red Tom Yum Goong Noodle which will be available in August/September 2015. For more information about MyKuali, visit their Singapore Facebook page here. Brought in by San SeSan Global, this Mae Ploy Thai Style Salad Dressing is now available for the very first time in Singapore! Delicate and well balanced, this salad dressing hits the perfect notes of sour, sweet and salty. No cream or oil is added to the dressing, and hence it contains 0% fat. 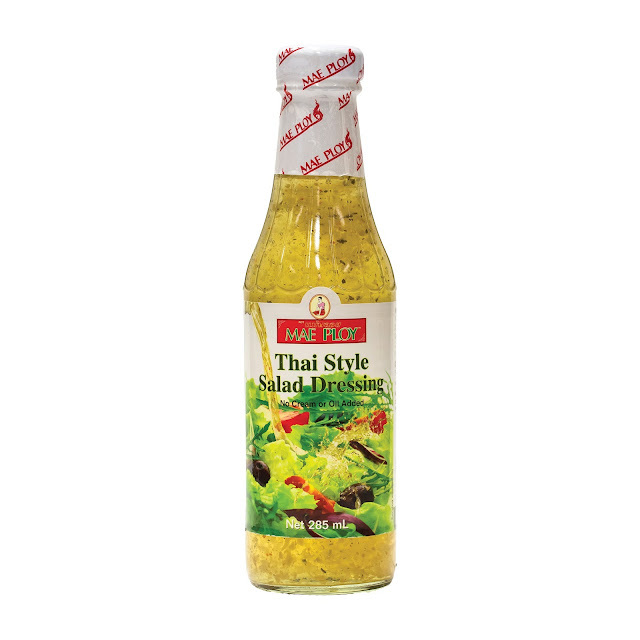 The dressing also does not contain any preservatives or artificial colouring. It is also Halal-certified! Red chilli, garlic and coriander all come together to lend the salad dressing a fragrant and uniquely Thai taste. The sweetness tempers the acidity of the vinegar. This versatile dressing can be used to complement salads or even as a dipping sauce for delicious meats. Mae Ploy Thai Style Salad Dressing is now retailing in Giant Hyper, selected FairPrice and Sheng Siong stores, Ang Mo Supermarket and Mustafa at S$2.90. Thank you Brand Cellar for sending me all these goodies! Yuck! Mykuali Penang White Curry nothing special & it comes with one kind of weird funny taste. Wasted on remaining pack till expired. Really? What kind of taste? I kind of enjoyed it though! Superb work , I have visited your site for the first time. Thank you very much for having such a informative blog. I'm working in resume writing service unquestionably awed with the measure of fixings that goes into simply this dish of Pena White Curry noodles. They have the soup base, a non-dairy half and half, and a stew glue that is comprised of fixings like shrimp glue belacan and fish flavoring powder. This recipes are incredible, thanks for that. This sauce is my favorite, I add it almost in everything and my wife is always complaining. Follow the link, if you want some of my best recipes. Looks great! I really like your plates! You know, those are things I would like to have too. Crabs Buffet at PARKROYAL on Kitchener Road! Shop at RedMart for Cashback and Coupon Codes! Ice-Cream Mooncakes - Swensen's SG50 Moon Gems!